U.S. Airmen assigned to the 79th Fighter Squadron and 20th Aircraft Maintenance Squadron, 79th Aircraft Maintenance Unit, are participating in Exercise Red Flag 19-1 from Jan. 26 – Feb. 15. The goal of Red Flag is to prepare Air Force, Joint, and Coalition pilots, aircrews and operators to fight against peer-level adversaries in any combat environment. Throughout the 3-week exercise, the Air Force’s five core functions are integrated. The functions are: intelligence, surveillance and reconnaissance, command and control, superiority, strike, and personal recovery and mobility. 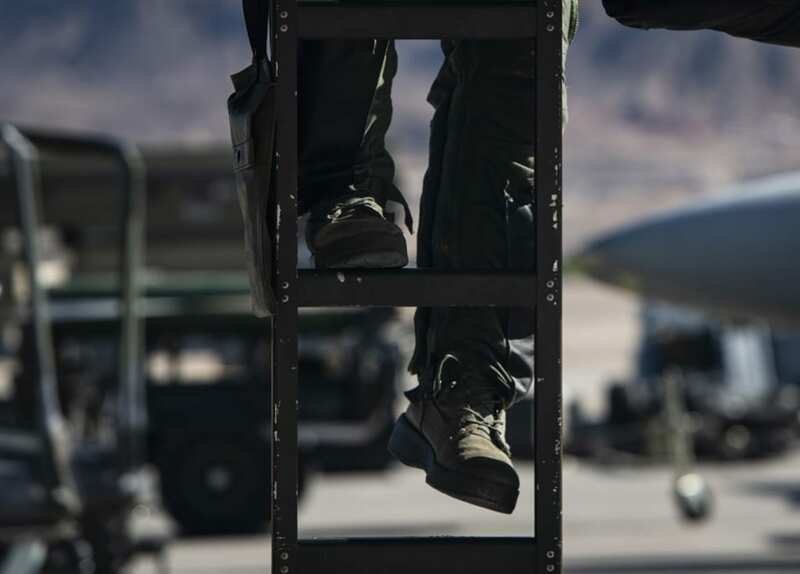 The 79th FS, otherwise known as the “Tigers,” will be serving in an air superiority role, performing various missions intended to test their job proficiency in a combat environment. The members will be participating at the bombing and gunnery ranges of the Nevada Test and Training Range. While in the air, “Tiger” pilots will be performing the suppression of enemy air defenses mission, as well as going head-to-head with aggressor forces and other aircraft to test their skills. D’Agostino went on to say that outside of Red Flag, this type of integration is uncommon, and it is incredibly valuable to be able to meet and fly alongside the other pilots. In order for the pilots to execute their mission in the air, they will need ongoing support from their wingmen on the ground. The pilots’ support team of maintenance Airmen will load munitions onto F-16 Fighting Falcons, launch jets to accomplish the missions and recover aircraft returning from the skies. The 79th will work alongside their coalition partners and build on their in-unit comradery as well as those with allied forces.